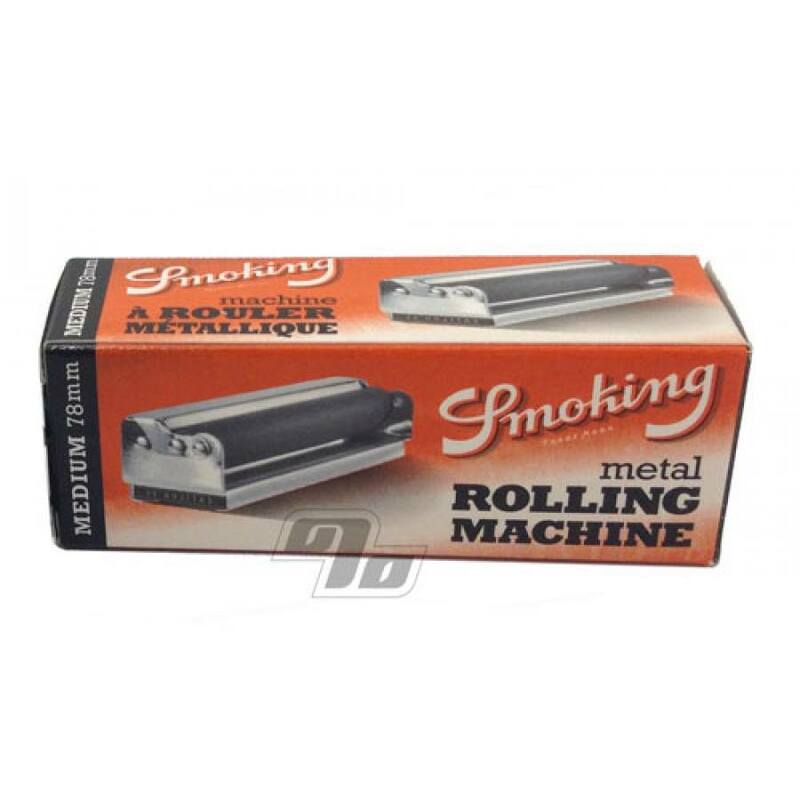 Smoking 78mm Metal Rolling Machine for 1 1/4 and smaller rolling papers. 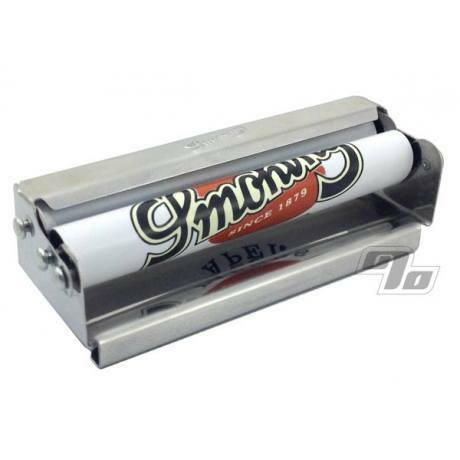 This stylish polished metal rolling machine includes easy to follow instructions to get you started rolling your own smokes. Great grippy rolling apron with that famous Spanish logo.